Discussion in 'Home, Auto, Hobby and Computer Tech' started by Concrete Helmet, May 23, 2018. Alright so on my way to the mailbox a couple of weeks back I noticed water bubbling up around our paver pathway leading to the front door. This caught my attention because as I was walking I was thinking of the new landscaping layout that we are about to have started along with replacing the pavers in that area of the house.....Now this water wasn't untreated sewage but rather was graywater discharge downline from the septic tanks. Anyway I was more curious about the pricing and was wondering if anyone had gone through the process recently. I have no idea about pricing in your area but my rural area about $2-3,000. After 25 years, biomat is what causes the drainfield to fail. Stop with the disposer period. Reduce your water consumption. No more anti-bacterial soap. This stuff kills the organisms that makes the septic system work. we just had ours replaced not long before Crete started this thread. Probably about half the size of cretes though. Don’t you live in the city limits? Whorlando doesn’t have sanitary sewer systems? 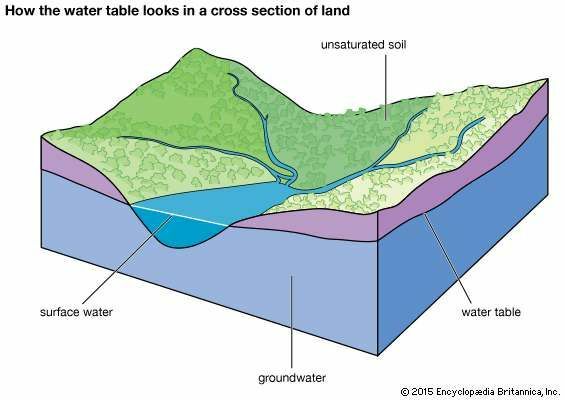 That's the reason the I posted the picture of the Water Table showing ground water. Assume you routinely use Rid-X or yeast in the toilet monthly? I have had my drain field over 30 years without problem. My older son is a plumber and built the drain field far beyond routine specs. You might get your house plumbed so that the gray water goes into watering the lawn or gardens. That will greatly reduce the amount of water that goes into the septic system, or at least it could. Irrigation is no longer included as a permitted use of gray water in the Florida . Interesting, I wonder what they do with facilities (like houses) that have such systems. My post was just to inform people that this is a possibility in some areas, thanks for specific information for Florida.